Fun At FestivALL . . .
We spent yesterday at FestivALL and Rick Lee captured some great shots on Capitol Street. More fun today! 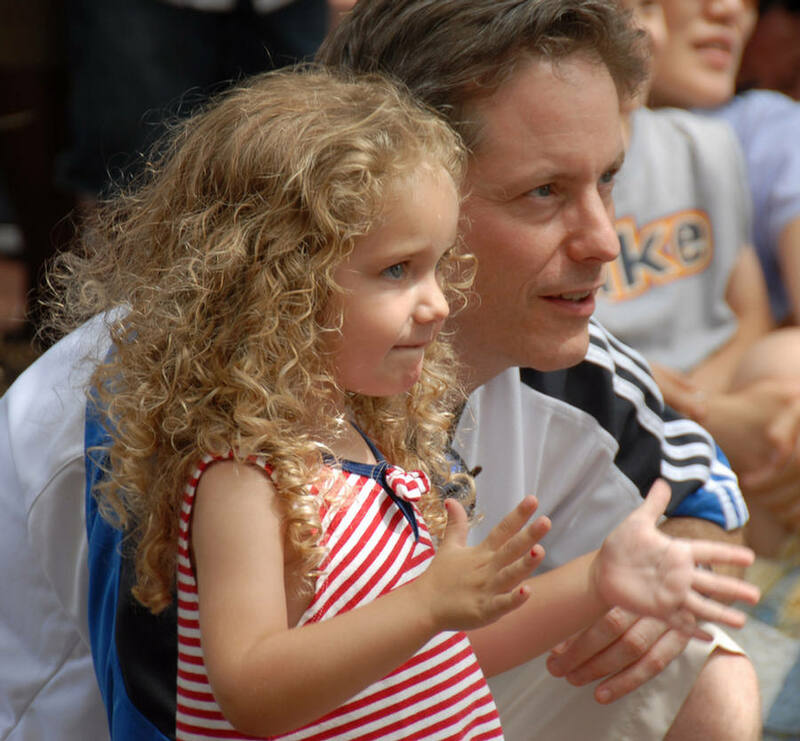 Thanks to Rick for capturing a shot of me and my daughter during Drew the Dramatic Fool. This morning we made a second trip over to see Julian Beever's Charleston artwork to get some shots. The last one is of a couple who got on after us and had a lot of fun riding West Virginia's white water. Roni Zeiger, MD, Product Manager at Google and part of Adam Bosworth's health team at Google has this recent post on the difficulty of patients getting the information they need. I can related to his post, Is there a Doctor in the Family? and his discussion of having "better access" to health information. There is incredible value in having a family member who understands the clinical side of health care. My dad, a retired country doctor in West Virginia, at 83 is still my "primary" resource to discuss health issues and get a valuable second opinion on anything related to my health and the health of our family. When the kids get sick we call him to confirm that the advice given by our pediatrician is accurate. When I had to make decisions on whether or not to have knee surgery - he was my sounding board for the pros/cons. I could give 100 more examples where I or others in my family have relied on him to help interpret health care options, treatments and management of our health. Dr. Zeiger poses the following question in his post, "When I help my loved ones navigate an illness or get up to date with screening tests, I wonder how those who don't have a doctor in the family manage their health." The answer: They don't manage their health. Most patients find themselves in a sea of information and at the mercy of a complex system. This is one of the fundamental questions that we as health care professionals need to seek solutions for today. Americans have always been great at mass production and we have taken this same approach to our health system. We produce a lot of health care but it is not individualized or coordinated as well as it could be. If Google can find a way to become this trusted virtual-family doctor and fill this need the patients and providers will be better off in the future. I'll be interested to hear more from Dr. Zeiger at the Health 2.0 Conference who will be participating on the panel discussion on Search in Healthcare. Tip to Shahid Shah the Healthcare IT Guy for alerting me to this new Google Blog post dealing with health care in his post Google Planning a PHR? For more information on the Google Health initiative check out this post over at The Health Wisdom Blog which includes links to Adam Bosworth's recent presentation at the American Medical Information Association's annual convention. UPDATE (6/21/07): Rita Schwab at MSSPNexus Blog adds an insightful post on the topic of Google as Healthcare Advocate? and what to expect when you navigate the health care system. Rick Lee beat me to the punchpost. 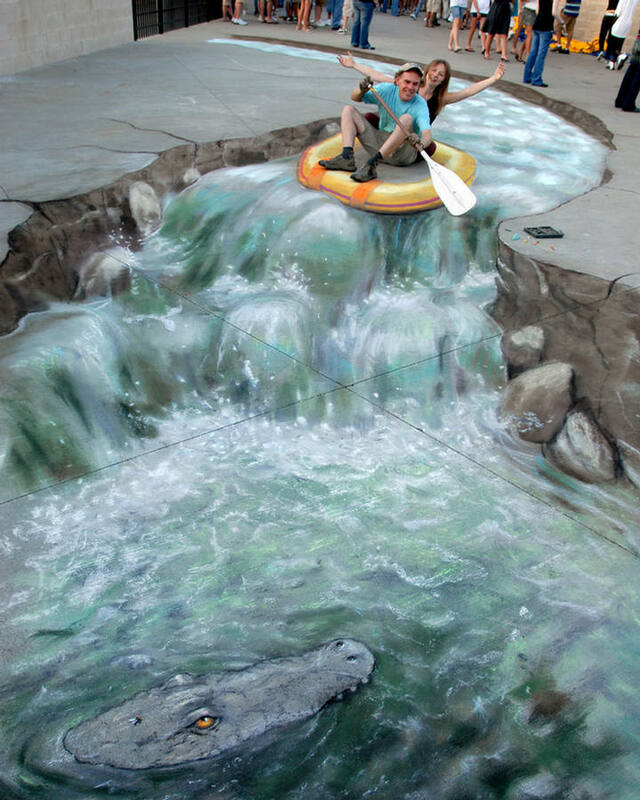 Last week I read where Julian Beever, 3-D pavement/chalk artist from Belgium will be coming to FestiVALL 2007 in Charleston. Last Thursday's Charleston Gazz featured photos of some of his work. I'm excited to see what he comes up with while working the streets of Charleston. (Hmmm . . . is this what he is planning). I'll try to get photos of his work and post them. Scan some of his past work courtesy of Google Image Search. 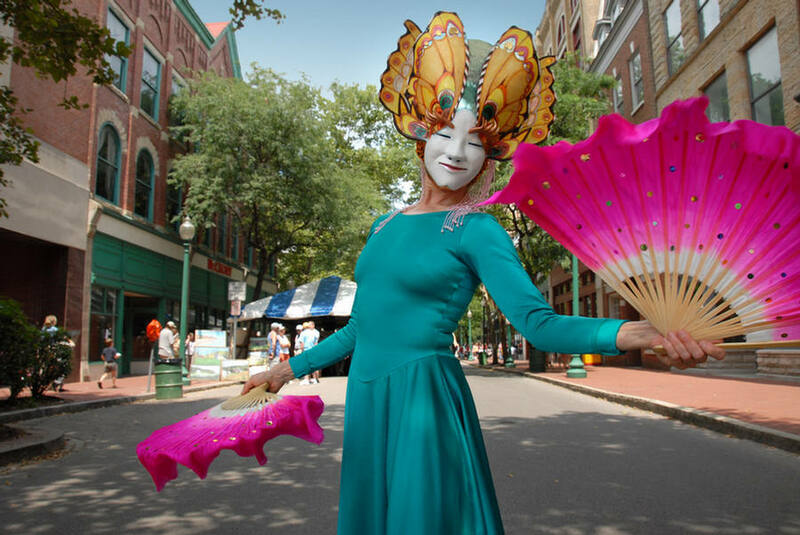 For more about this weeks FestiVALL check out my past post or the new FestiVALL 2007 Interactive Map, courtesy of the Charleston Gazette. UPDATE (6/21/07): Below is a photo from the front page of today's Charleston Gazette showing the partial completion of Julian Beever's West Virginia FestiVALL work. Check out the article. UPDATE (6/22/07): Last night Julian Beever completed his artwork for Charleston. Amazing. More photos courtesy of Charleston photo bloggers Rick Lee and Tom Hindman (more photos by Tom here and here). Photo below courtesy of Rick Lee. The West Virginia Health Care Authority has issued new proposed Certificate of Need Standards for Bone Marrow Transplantation Services. For more information go to the "Notice of Public Comment Period". The proposed CON standards are out for public comment. Public comments can be submitted to the WVHCA no later than July 6, 2007. Notice of the proposed standards were published in today's Charleston Gazette legal advertisement (June 16, 2007). The proposed standards indicated that West Virginia bone marrow transplants are currently performed exclusively at West Virginia University Hosptials, Inc. The standards state that WVUH "performed 43 bone marrow transplants in 2003, 37 in 2004 and 46 in 2005." The proposed standards indicate that WVUH will be the exclusive provider of bone marrow transplantations service in West Virginia. Just noticed a new global ranking service for health care related blogs inspired by Todd Andlik's Power 150. It's called healhtcare100.com. My Health Care Law Blog comes in at 41 out of top 100. The list includes many of the top health blogs and is well worth scanning if you are interested in what is happening in the world of health and medical blogs. Find out more about edrugsearch.com, the sponsor of the global ranking by checking out their "about us" page. Cary Byrd, founder of the company, gets points for his creation of the global ranking as a way to drive traffic and make others aware of edrugsearch.com. Good classic marketing to bloggers. Business Week features a new survey by the Commonwealth Fund that ranks the health-systems performance of all 50 states and DC in "The Sorry States of Health Care." The full report detail can be found here at the Commonwealth Fund website. The survey statistics on the need to increase preventative care and high levels of avoidable hospital admissions struck me an interesting (but not surprising). West Virginia comes in at 44 of 51 in the survey. (full details on West Virginia here and here). The state ranking was a product of aggregating measurements in 32 benchmarks spread across five categories: access to health care (determined by the number of insured residents); quality of care; unnecessary hospital use and procedures; equity of access based on income and ethnicity; and the overall health of the population. Here come the aging boomers . . .
Nick gives us all a little education about what impact baby boomers will have on the health care system. Always great insight (and writing) from Nick. Add to this what I haved called the Pig in a Python health care effect and it is going to make the delivery of what Nick and his generation expect very difficult. By the time I roll through the system (I'm the tail end of the baby boomers being born in 1966) who knows what the system will look like. Will it be bankrupt? How much will I be paying? Will there be a surplus of of health care workers to take care of me? Scoble has a good round up of the ongoing discussion about Google's ranking in the recent Privacy International Report titled, A Race to the Bottom: Privacy Ranking of Internet Service Companies and Privacy International's Open Letter to Google. Scott Shreeve, MD one of my favorite Health 2.0 thinkers skeptically examines Sermo's business model of incentive pay for physician opinions and gives us non-physicians a glimpse (with screen shots) of how Sermo works in his post, "Change Agents: Knowledge Prostitution." I've followed and posted about Sermo's development over the last year. Recently Sermo entered into a strategic affiliation with the AMA mashing up the old school health care industry with Health 2.0. As these new health care business models evolve they raise all sorts of interesting legal questions for health care lawyers. For example, what impact will the recent outing of flea have on the reluctance of physicians to post recommendations/comments on sites like Sermo? Could specific content posts by physicians ultimately be used against them in future litigation to highlight prior inconsistent statements by the physician on a particular course of action or treatment? As Sermo continues to grow what impact will this online collaboration have on the definition of standard of care? How will Sermo respond when it receives a subpeona for records in a pending health care related class action or medical malpractice action? Just a few of the many questions that come to mind. David Harlow at HealthBlawg looks at some of the same issues and explores others in his post on "the strange case of the arrogant physician, and related musings on the propriety physician blogging and other online behavior. " Final arrangements for the Health 2.0 - User Generated Healthcare Conference in San Francisco are now available from co-organizer, Matthew Holt of The Health Care Blog. The conference will be held at the Hilton San Francisco on September 20, 2007. I had the pleasure of participating on a panel discussion with Matthew at the Healthcare Blogging Summit 2007 and am a regular reader of his health blog. He and co-organizer, Indu Subaiya, MD, MBA have put together an outstanding and comprehensive list of speakers for the event. Check out the summary and agenda. Anyone interested in the emerging Health 2.0 movement and its impact on health care delivery should not miss the event. I've already calendared the date and plan to attend. Blawg Review #111 is up at Bill Gratsch's Blawg, a listing of legal blogs, podcasts and newsfeeds. Bill's edition of Blawg Review takes you on a tour of blawgs -- from there, to here, to where?